Lash Lift course will explore and demonstrate techniques required to perform Lash Lift. The products used for Lashlift is StudioLASH the best products on the market for Lash lifting. After completion of training, you will be registered with StudioLASH and will be able to purchase products at wholesale prices. Lashlift kits are available on request, and you can buy it before training. 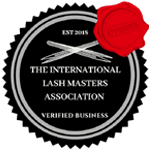 Description of Lash Lift: Overview of Lash Lift, products, equipment and techniques required to provide Lash Lift services. Marketing: Pricing, product knowledge, aftercare, frequently asked questions.